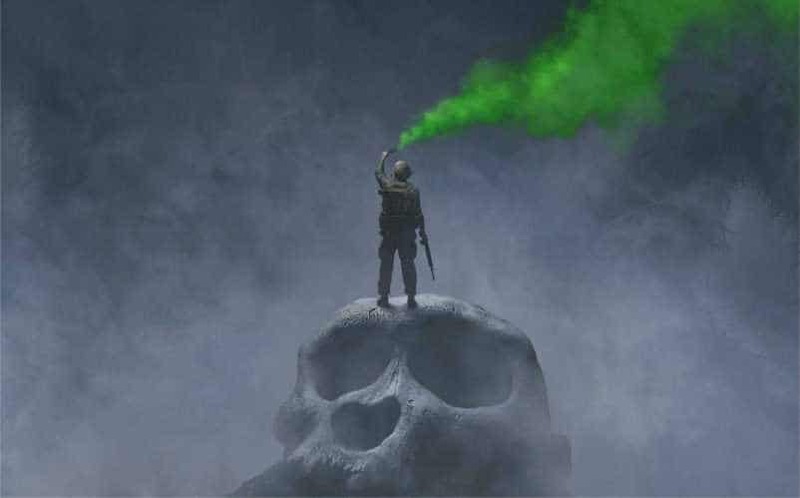 King Kong Revealed Finally for Kong: Skull Island | Nerd Much? King Kong revealed himself today with our first real look. Finally we have more than just a passing glimpse in the Kong: Skull Island trailer. 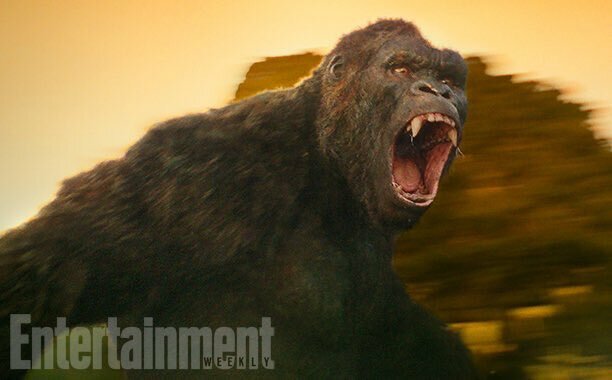 The image of Kong was revealed during an interview with director Jordan Vogt-Roberts at Entertainment Weekly. In the interview, Vogt-Roberts described the scene depicted by the image. In the image, all we see is an angry ape. However, the scene features photojournalist Weaver (Brie Larson) and British SAS Officer James Conrad (Tom Hiddleston) as they stumble into Kong’s territory. Just like the original 1933 version, King Kong revealed that he will be standing upright on two legs. This version will be the biggest Kong that has ever been on the big screen. Kong: Skull Island is scheduled to open in theaters on March 10, 2017. Joining Hiddleston and Larson is Jason Mitchell, Corey Hawkins, Samuel L. Jackson, John Goodman, and Thomas Mann. The story will take place in the 1970s and is set in the same universe as 2014’s Godzilla. With King Kong revealed, we are even more excited for the eventual monster-fight movie Godzilla vs Kong. For now, we will have to wait to see how Kong: Skull Island performs. If it’s anything like the trailer that was released at Comic Con, we have a lot to look forward to. Kong: Skull Island is one of our most anticipated movies of 2017. Check what other films are on the list here.